PM7675. 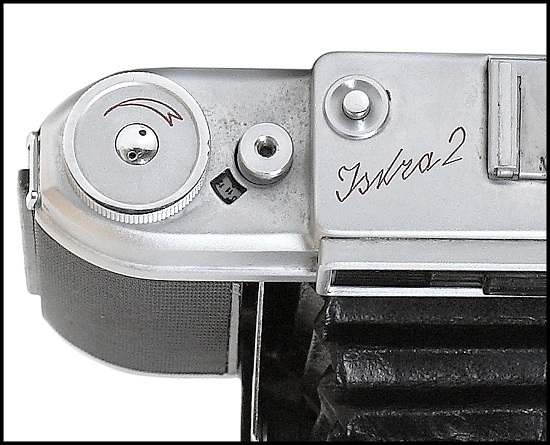 An ultra rare to find prototype version of Iskra-2 camera. Released by KMZ in 1961. Very similar to Iskra-1 camera with exposure meter added. 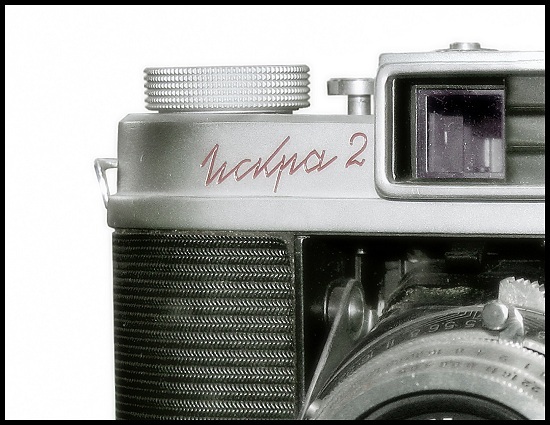 "Iskra-2" in Cyrillic characters engraved on the frontplate (only on prototypes, see picture below). 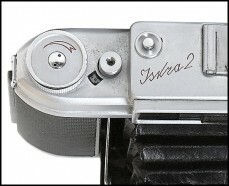 PM7675 - Iskra-2 prototype camera. PM7680. The regular version of Iskra-2 camera. Very similar to prototype (see above), but with name markings (in Cyrillic or export characters) on the top plate (see picture below). 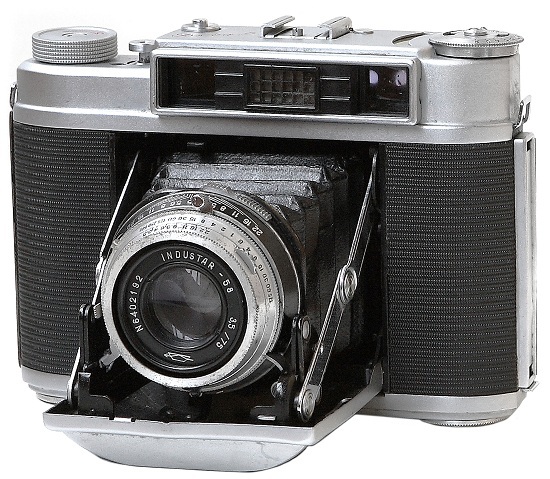 Less common to find nowadays in great cosmetic condition. Camera opposite from V.Nagorskij (Lithuania) coll. 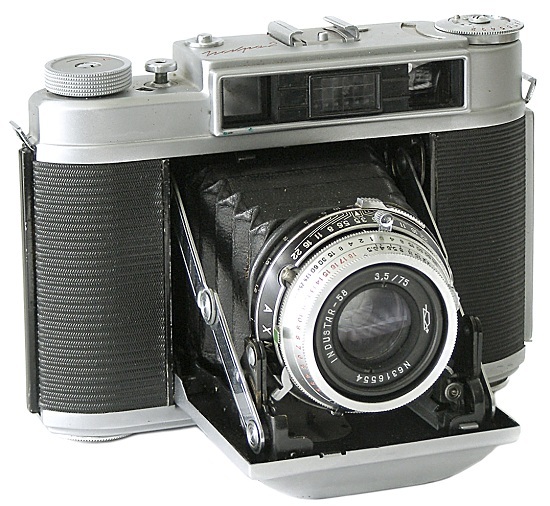 PM7685. The regular version of Iskra-2 camera. 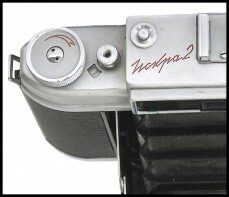 Identical to PM7680, but with export nameplate markings on the top (see picture below). 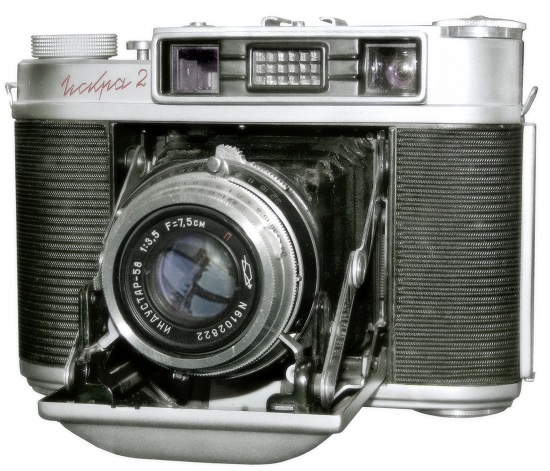 Less common to find nowadays.